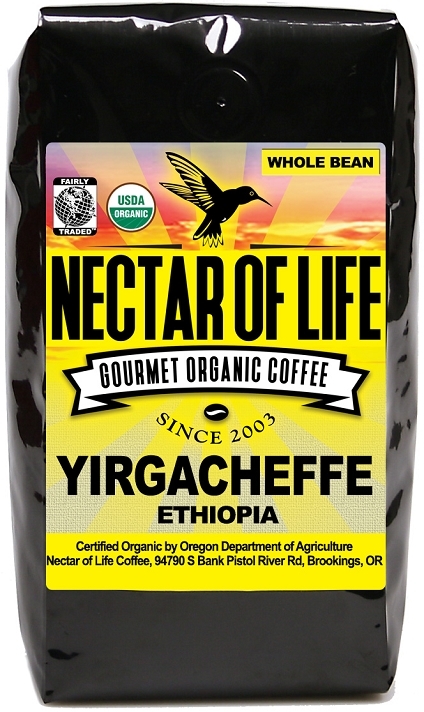 Ethiopa Yirgacheffee - Half City roast coffee from the Yirgacheffe region of Ethiopia. Organic Fair Trade certified Arabica coffee. 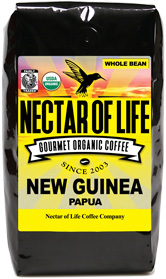 Roaster's Notes: This is a complex coffee with bright citrus acidity accompanied by black tea and wild cherry notes. Ethiopia is considered to be the "birthplace" of Arabica coffee (the good stuff.) 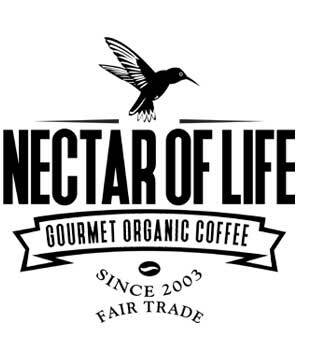 This coffee is grown in the Southwestern region of Yirgacheffe. Is it wet processed which results in a "cleaner" coffee than natural processed Ethiopian coffees. Coffees from this region have delicate floral and citrus notes. We roast this coffee to a Half City roast, which is on the light side of a medium roast. The resulting coffee has a bright floral acidity with subtle flavors of lemongrass, black tea and wild cherry. You can enjoy this wonderful coffee prepared in any manner including espresso! Please Note: This is VERY DIFFERENT than the natural processed Ethiopia Sidamo we normally carry. This organic Fair Trade Yirgacheffe doesn't have the over the top jammy fruit flavors like the Sidamo, but it is an excellent coffee.